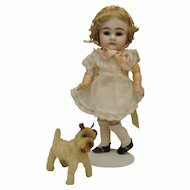 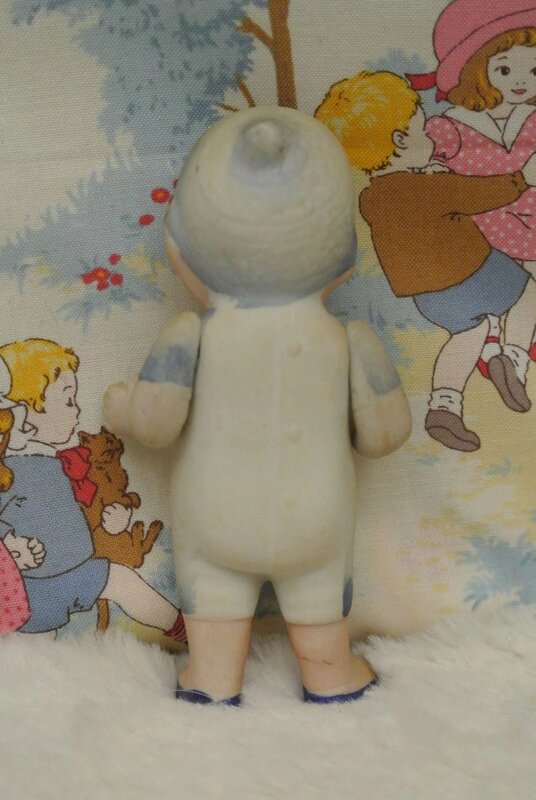 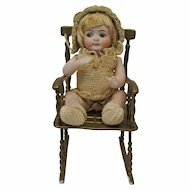 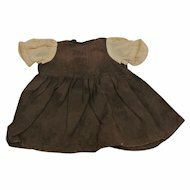 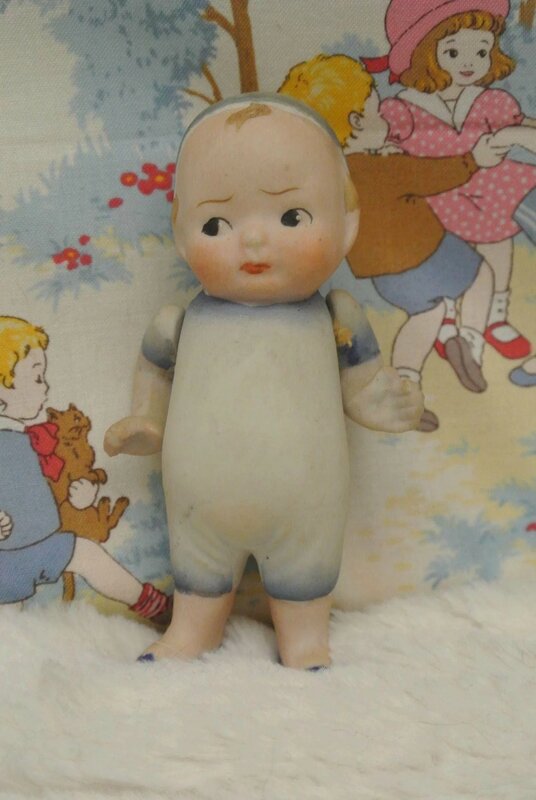 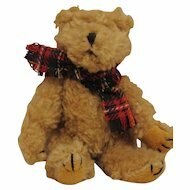 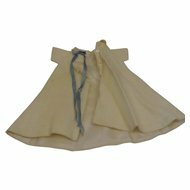 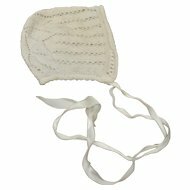 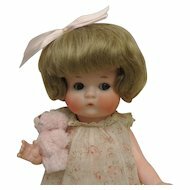 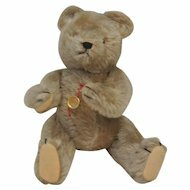 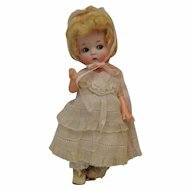 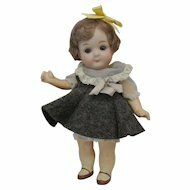 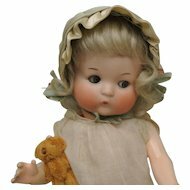 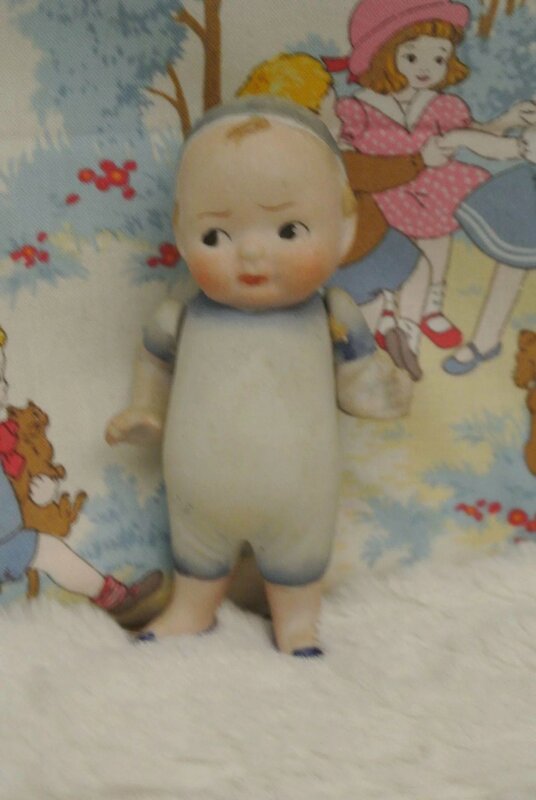 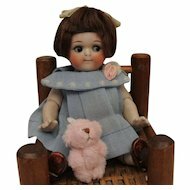 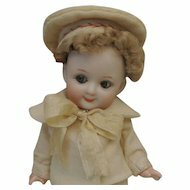 This adorable Antique All Bisque 4" Googly Boy is in excellent condition with Jointed arms. . 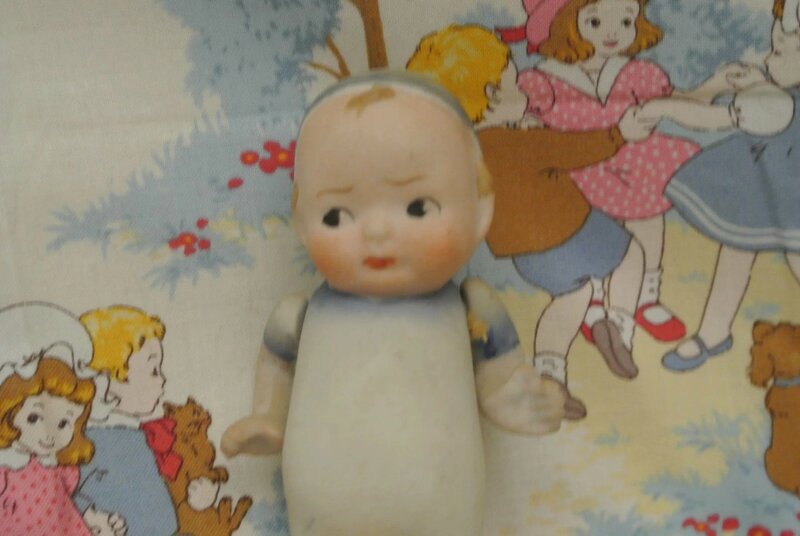 He has no damage or repairs.